Good morning, all! 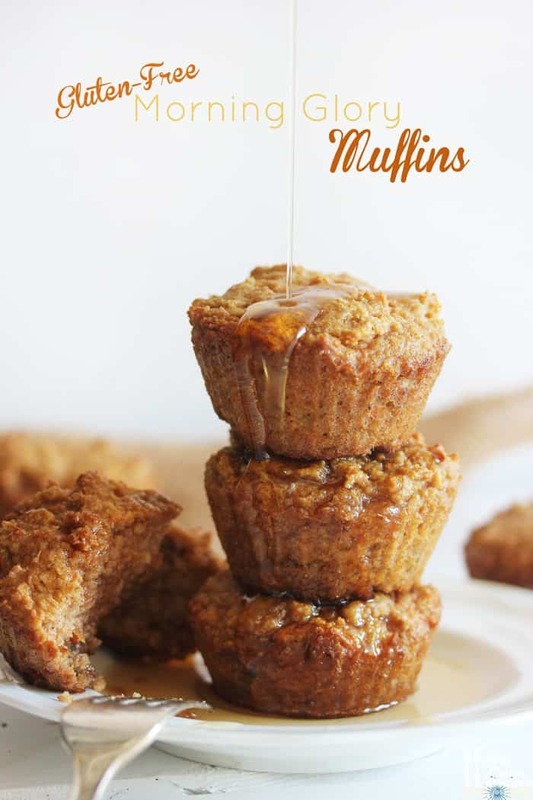 If you’ve tried my Cinnamon Bun Banana Muffins or my Paleo Peach Cobbler Muffins, you know I am a big fan of a light breakfast muffin that won’t ruin my day. Describing these muffins is simple: They are light, moist, flavorful, and filled with a variety of good-for-you ingredients! They make for the perfect start to your day. 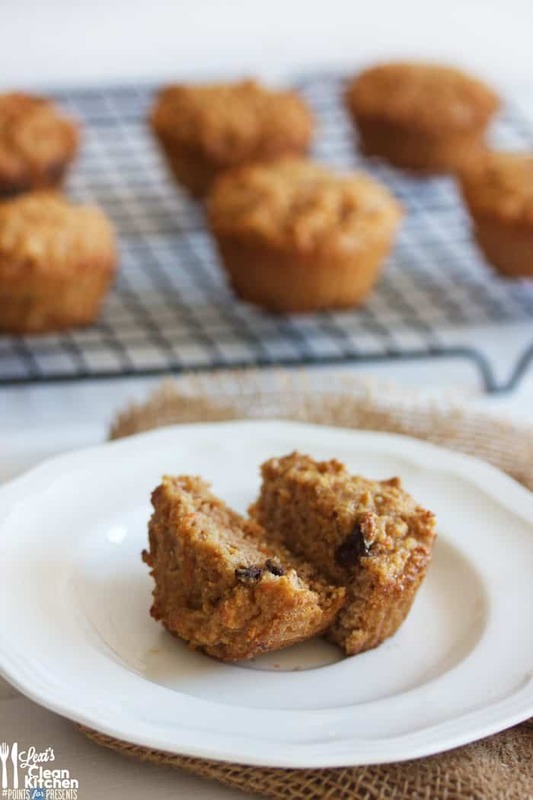 The perfect on-the-go weekday snack or weekend brunch muffin! 8. Let cool on cooling rack and serve! I drizzled maple syrup on ours… de-lish! Do you have a favorite type of muffin? I have all of these ingredients right now and pretty tempted to try them out for this weekend! I love blueberry muffins (GF) and cranberry muffins! These look like a great morning breakfast to go. I love that there is just a touch of honey in them to sweeten but not too much. And then, of course you drenched them in maple syrup like I totally would have done too haha! 1. What is the purpose of the 1.5tsp of coconut flour? 2. Would almond MEAL work as well? Thank you! The bit of coconut flour gives a little substance as it’s a very dense flour. Almond meal should work just fine! Oh, Lexi. Please come and live in Ohio, so I can pop on over and steal these from you every once in a while. There’s some serious yum going on here. These are my new go-to muffin. You can really just sub in whatever you want (fruit, nuts, veggies). I made a batch and they were perfect for a little dessert, or to grab and eat in the car before my 5:30am WOD. Thank, Lexi! These muffins look great and look like they would hit the right spot for my breakfast! These were perfect to make with my leftover carrots. Loved how it was packed with carrots, apples, raisins, and walnuts (I forgot the coconut). I think mine needed to cook a little longer but I let them sit and then stored them in the fridge. When I wanted a snack I would heat it up in the microwave. Delicious, I didn’t think it even needed maple syrup. I need to invest in some of those silicone muffin things. The paper muffin holder I used stuck so I was literally licking it to get all of the muffin off, yes it was that good, don’t judge. 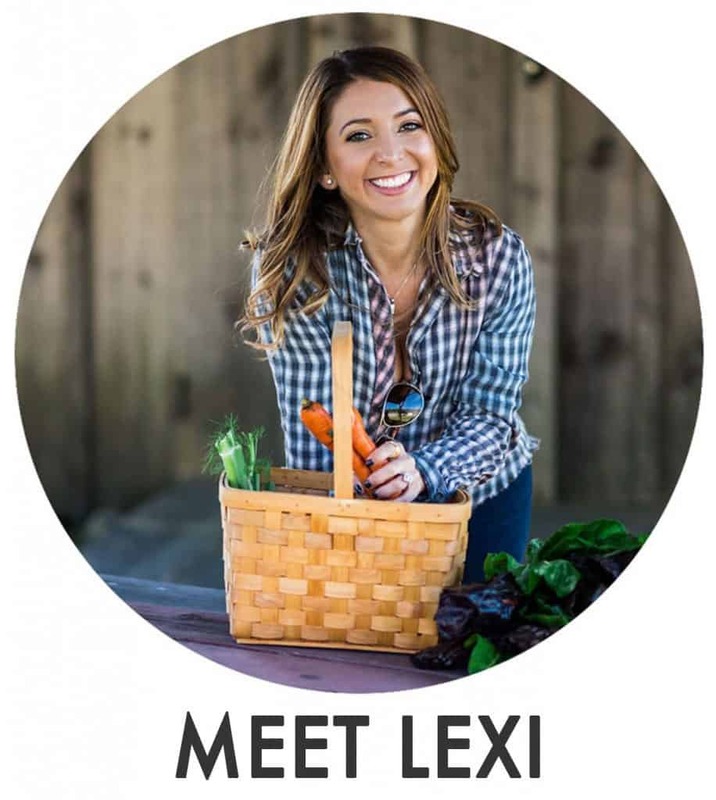 Thanks for another great recipe Lexi! 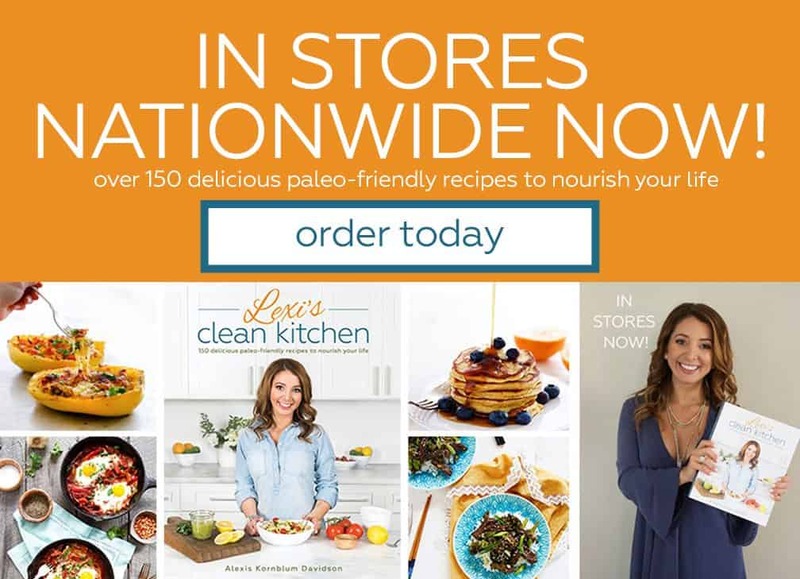 i am new to your site…found some great looking recipes from you on Pinterest. 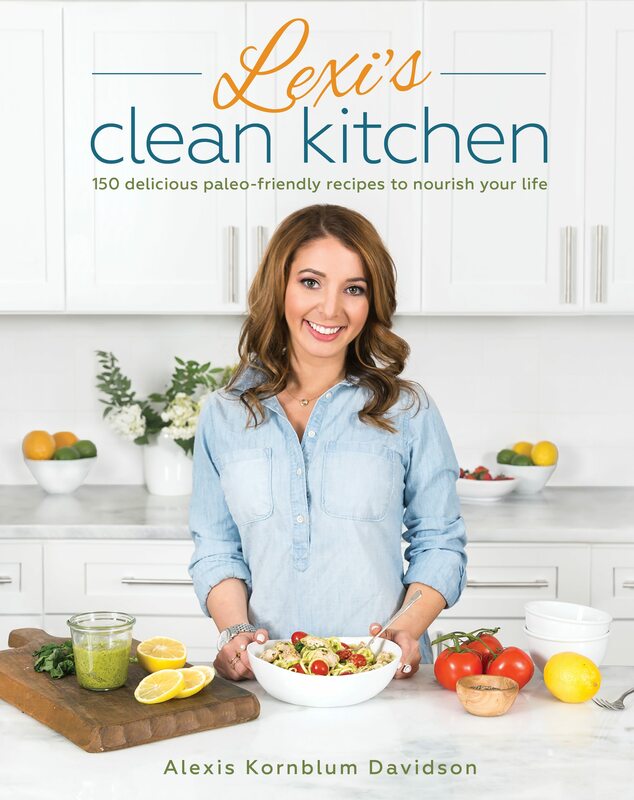 I have a hubby who has been eating clean and losing weight (60 lbs so far!!) and I’m looking for some new recipes to keep him as well as 2 teenage girls and myself on track. Do you have any nutritional breakdown for calories, protein, etc? I’d love to try some of these out but I know he won’t eat them if he doesn’t know the nutritional facts. What are your best ones to start with for lunchbox items? Just made a batch! Omg delish!!!!!!! I have made a version of these before with zucchini, carrot and pear. I have to go eat a second muffin now. Do these freeze/thaw well? Thinking about making a double batch and freezing some as a quick go-to for days I am not prepared. 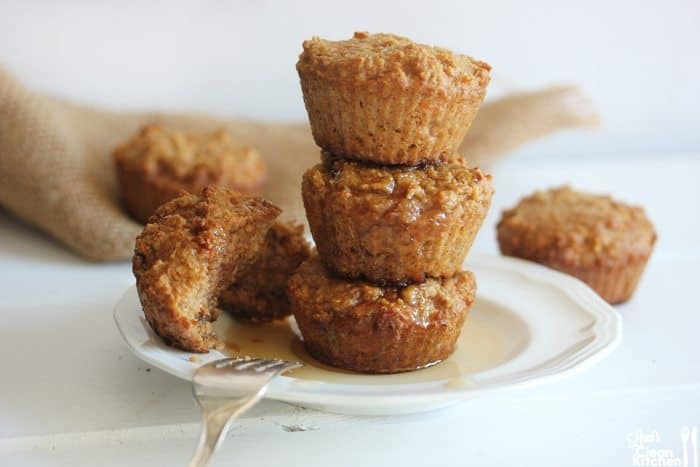 making these muffins as soon as i am finished with whole30 next week, mmmm. These look incredible, stoked to try! I struggle with Paleo dessert recipes as most call for almond flour or meal, as this one does, and I have a serious almond allergy! Should I substitute with tapioca flour or arrowroot flour/meal? I could always add more coconut flour but then I run the high risk of drying them out, a disaster, ha! Hi. Thanks for your recipe of muffins. I will make mine tomorrow. These were a total hit! I think I’ve found my new go-to morning muffin recipe – they were so quick and easy to make, and the proportions will be easy to remember! Thanks for a great recipe!